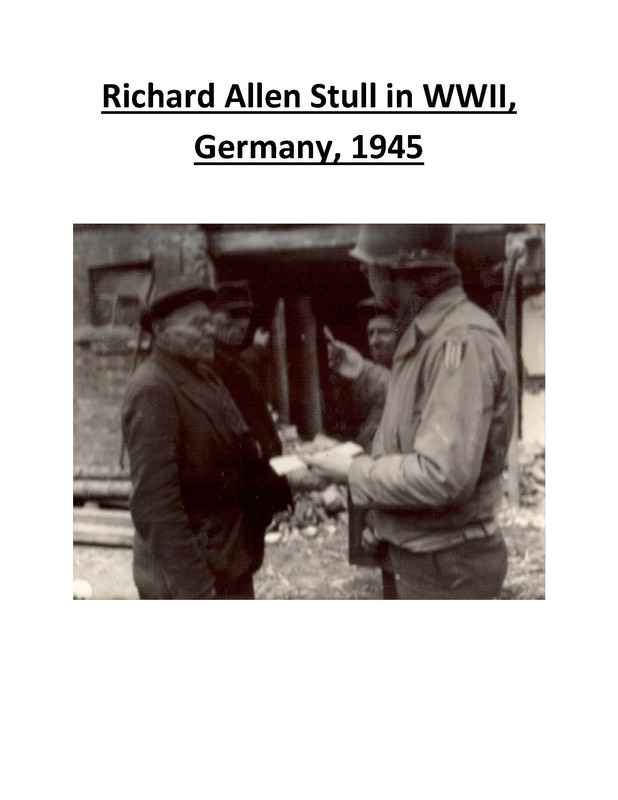 Doc Hosts Monuments Men Dinner to honor his dad, Richard Allen Stull, Monday, February 17, 2014 at 5:00 PM, Plaza Grill, Arcata. Back of photo reads: “Three members of the Hitler Volkstrom, who gave themselves up when the Americans entered their town of Haarm, Germany, point to the spot where they had their weapons hid. A military government expert, Richard Stull of Lakewood, Ohio is getting the details. 104th Infantry Division, FUSH, US First Army, 3/3/45. My dad was in a Civil Affairs Unit in WWII and later served with the Allied Military Government as a German language and culture specialist. He and was involved in the restoration of some of Beethoven’s manuscripts and piano in the city of Bad Godesburg outside the new provisional German government in Bonn after the fall of Berlin. An an interpreter, he saw the liberation of three concentration camps. He earned three bronze stars though he never spoke about the circumstances behind his being awarded them. He died in 1997.